Join us at Torvet in Kristiansand! It's time for Torvet to become an extended part of the Federal Republic of Germany. And the Bavarian traditions that comes with it. Enjoy the sound of our Tyroler band filling the tent day after day, while you and your friends sit side by side and experience a true Bavarian atmosphere with Norway's biggest Oktoberfest. We've put up a big festive tent with tables, benches, VIP area, bars, wardrobe, kitchen, stage, Tyroler band and anything you may need. We've also built floors and have large heaters for your convenience. Exclusive for the VIP area is dedicated waiters, bars, liter seidels and excellent view of the stage. 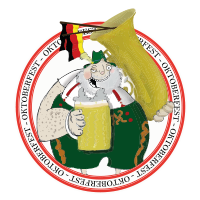 Keep in mind that Oktoberfest is a day party with a great atmosphere from the doors open. Oktoberfest is easy. The Tyrolean band plays song you didn't think you knew. You and your friends sit shoulder to shoulder. And you swing the steins. And the food? We serve German traditional food. Our own Tyrolean Orchestra Viva Bavaria Band + Kenny Herzlich & DJ Stimmung Schwung aus Bayern will keep you entertained from early 'till late. Every day.